Listen to 7 minute Interview of Joy Kogawa talking about "Gently to Nagasaki" click here. Lois Wilson and Joy Kogawa will go to book clubs and churches in the Toronto area to speak of their books and their spiritual journeys. 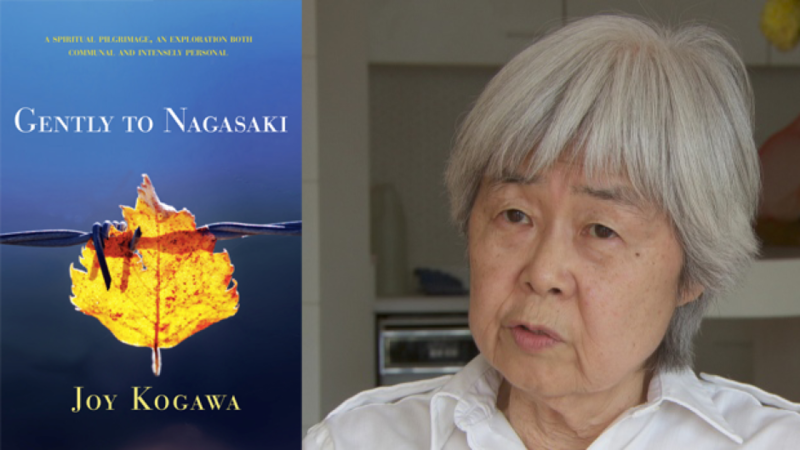 Joy Kogawa’s book is Gently to Nagasaki, a memoir. Douglas Todd of The Vancouver Sun writes: Gently to Nagasaki is a mature work of history and spirituality, bravely detailing the intersection between mass global evils and those perpetrated intimately by members of one’s own family. Kogawa’s memoir deeply explores how denial works in regards to racism, paedopilia, nuclear power, Canadian internment camps and Japanese war atrocities. It reveals how, in the midst of betrayal there is still a place for trust. ​Dr. Lois Wilson’s book is “I Want to Be in That Number-Cool Saints I Have Known”—a book of reflections on 40 remarkable “saints” she has encountered over her years as Minister, United Church Moderator, Independent Senator, and international ecumenical leader as President of the World Council of Chuirches. Every story is anchored in the scriptural text chosen for their funeral, and includes Margaret Laurence and Anglican Primate Ted Scott as well as lesser known but faithful Christians. In a highly individualistic culture, this book invites the reader to consider all that is implied about community in the phrase “communion of saints.” It offers hope and direction to a death-denying culture. Available For sale @ $20 from the author. What a sweet, sweet thing a homecoming is – especially for those of us for whom home was lost. What a sweet thing it is to rise in one’s lifetime from a category of enemy to a category of friend, from a place of the despised to a place of honour. And how deeply honoured I am to be here today to witness this historic event. ​On today’s broadcast of Media Mornings on Vancouver Co-op Radio 100.5 fm, we interview renowned Canadian author Joy Kogawa about the 75th anniversary of the Nanjing Massacre. To find out more and listen to the Podcast click here. Canadian author Joy Kogawa took in an operatic performance based on her novel Naomi's Road as Ucluelet kicked off its Japanese Cultural Heritage Festival on Tuesday. From left: recreation programmer KK Hodder and recreation assistant Nicole Laderoute join Kogawa and the NHK film crew documenting Kogawa's West Coast experience.